The beauty of running your own blog is that come Friday you can pretty much do what you want, I mean who really wants to be stressing about money on a Friday! 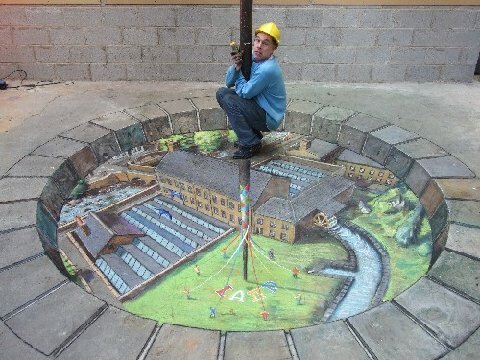 So I thought I’d share some pictures I was sent in an email today, I think they’re amazing and I’m sure you’ll think so too, check them out below. 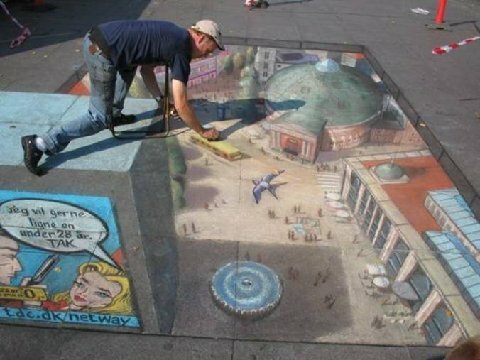 I’m not really sure where the guy who creates them is from or even where these 3D chalk drawings are being done, if any of you readers know then please leave a comment below so I can think about paying a visit. Pauline over @ Reach Financial Independence wrote a really helpful post for those thinking about travelling to France on a budget which you can read here. Mrs.B and I went camping in France with some of our good friends a few years ago and it was the best holiday we’ve ever had. We stayed near Antibes in the South of France and as I mentioned in my comment on Pauline’s post, my favourite day involved jumping on a french train in the morning and heading over the border into Italy for a nice Italian coffee and pizza. Then after dinner we jumped back on a train and headed to Monte Carlo for the afternoon (Oh how the other half live!) and then back to France for a few beers later in the evening. Some guys in Monaco were also selling a 20 minute drive around the Formula one track in a Ferrari for 60 Euro’s, I know it’s not pocket money but when else would you get the chance to do something like that? I suppose thats the beauty of camping, you sacrifice a few home comforts but you’re left with a bit more cash to do other fun things. Grayson @ Debt Round Up ~ Too Focused on Money and Losing Focus on Enjoyment? There’s more to life than money, it’s good to be reminded of that sometimes. The cost of smoking doesn’t stop with the price of the cigarettes, as Mr.CBB found out. John @ Frugal Rules ~ Happy Six Months to Frugal Rules! John has done an amazing job on his blog and he’s celebrating his 6 month anniversary with a giveaway! Google Pagerank and alexa ranks are just the beginning. There are many more statistics you should be looking at to gain insight into and improve your blog as Jeremy explains here. Having 2 kids I know all about unexpected family expenses! Check out this great advice on how to prepare for them in advance. Jose’s not had his best week ever but he’s staying positive and exploring new horizons. Anyway I hope you have a great weekend and also enjoy these pics and remember these are all FLAT drawings! If you want to share them with your freinds you can do so using the share buttons at the bottom of this page. I Like The Monkey One, Which Is Your Favourite? Thanks so much for the mention Adam as well as the kind words. 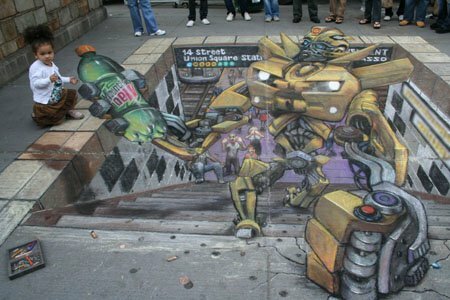 Those drawings are amazing! I think I’d have to with the whale being my favorite. No worries John, looking forward to the next 6 months! Yeah the whale is a good one. 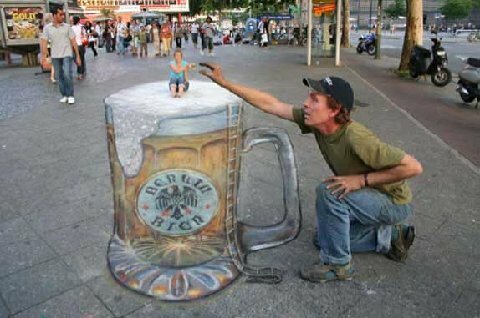 I love these 3D drawings!!! Your trip to France sounds SO fun – I would’ve totally splurged on the Formula One ride too – so worth it. 🙂 Thanks for the mention, and have a wonderful weekend! It was well worth the money Laurie. It was funny because when we first arrived in Monaco we took a walk up to the casino and saw a couple of young lads cruising around in a Ferrari, we didn’t know at the time that they were only hiring it! thank you for the spotlight! 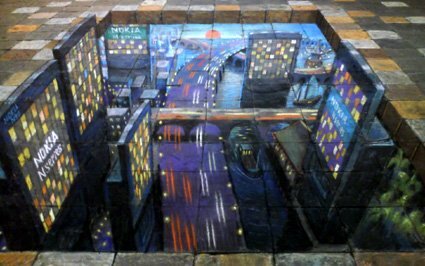 Those pictures are amazing. 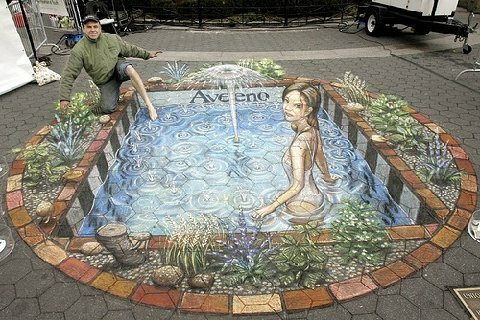 I can’t draw so am always in awe for those kind of things. No worries Pauline, really enjoyed your post. It brought back lots of great holiday memories. 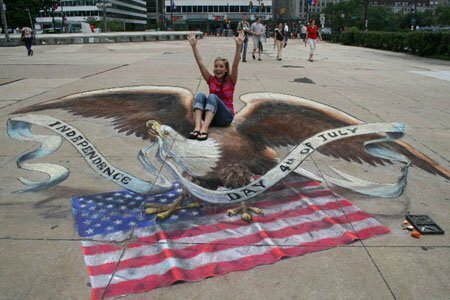 Those chalk creations are awesome. I love looking at these and wonder where they are being done. 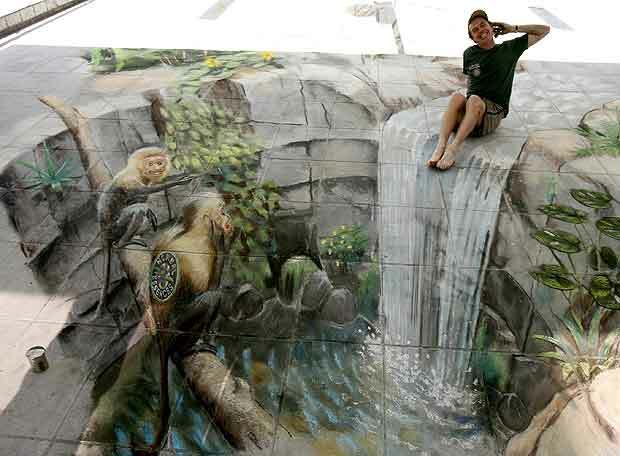 That is some serious talent. Thanks for mentioning my post about focusing too much on money. That one as resonated with quite a few people and that was the intent. I know Grayson, it’s a real gift. 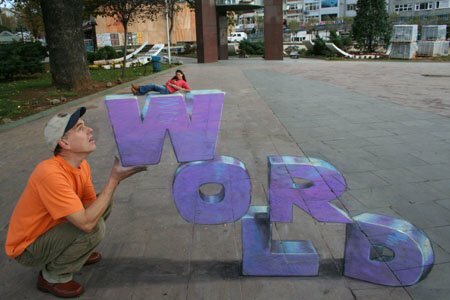 I love creativity and wish I had more of it myself. 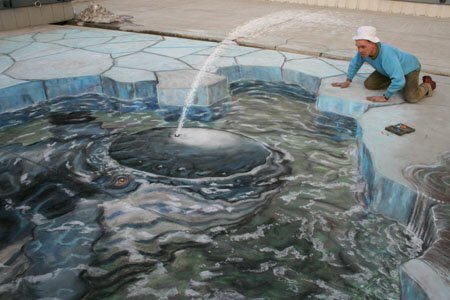 Oh wow, those chalk paintings are amazing! 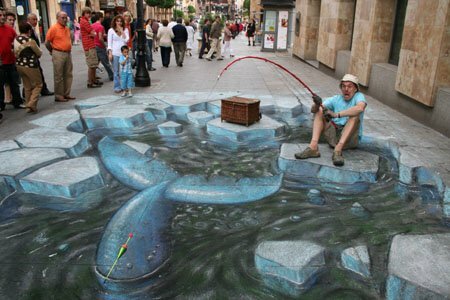 It would be amazing to see one in real life! Thanks for the Mention! 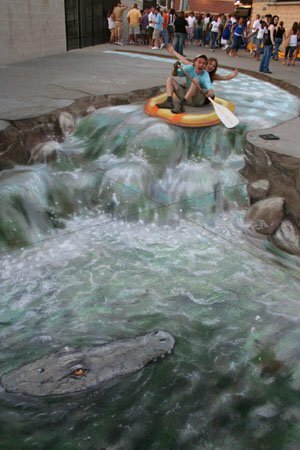 Those chalk paintings are absolutely amazing. 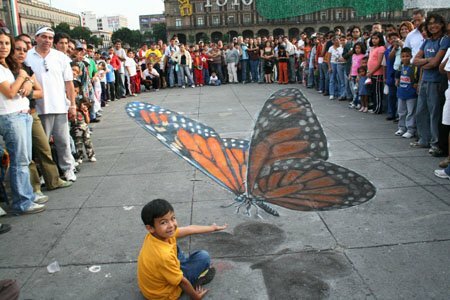 What talent! To be able to even think them up amazes me, let alone create them! No problem Jose, hope the work situation sorts itself out soon. 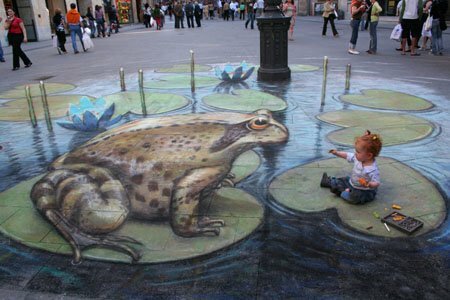 Wow, those are some pretty amazing chalk drawings. I’ve never seen anything like it before. 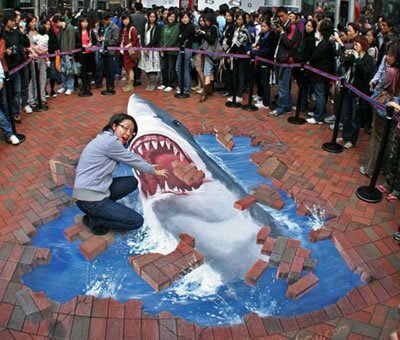 I have seen professional wall graffiti but this is great. Have a great weekend mate! Cheers for sharing CBB! I know pal, I couldn’t believe my eyes when I saw these! I’d love to have some artistic talent.